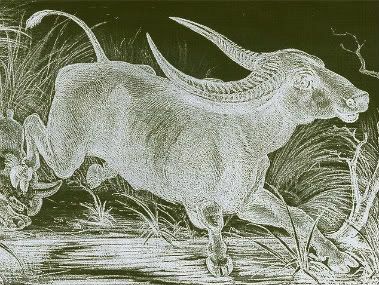 if you see a buffalo chasing you in dream. three days before my maternal uncle passed away. and full grown long grass, and ripened pumpkins beneath. comes from hollow tree trunks in windy days. He looked lost in the dim, flickering lamp light. He was a storehouse of a great many folk stories. for our genuine roots - even in the teens. I regret I could not learn much from him. Haris Adhikari is from Jhapa, Nepal, currently staying in Kathmandu. He has an MA in English and American literature from Tribhuvan University. A member of The Society of Nepali Writers in English, he is a teacher of English by profession. His Nepali poems and songs have appeared in Gorkhapatra, Bimarsha and Kantipur Kopila. His English poems are coming up in Mad Swirl and Locust Magazine (Volume 3, Issue 1) in the US. At present, he is working on his first English poetic collection which he hopes will be out by November. He primarily loves to write conversational and contemplative poetry, digging into the layers of phony faces, violence, injustice, shattered dreams, disillusionment, etc. And he describes himself as “a branch extended to aloofness that heavily swings when the day is windy”. Haris has translated a number of articles from English and Hindi into Nepali. In 2008, he co-translated ‘Releasing the Powers of Junior Youth’, a wonderful book on life and philosophy, for the Baha’i Community of Nepal. He worked for Nepal Monitor, a semi–scholarly online journal, for half a decade until 2008 as a research assistant and contributor. I basically feel strong urge to write when I’m deeply moved by sensitive issues like complications in relationships, philosophical and ethical questions in day to day life, and social, cultural and political problems in the modern world. I have an allergy to phony faces. I can’t help but raise a finger at them. I have seen more than often disparity between people’s principles and conduct. Man is essentially very fragile. And I have found politics of any kind (that we have in families, between classes, races, cultures and nations) very cruel and life damaging. Politics works as people’s fate. So, I find frustration, conflict and rebellion in man’s heart. Ideas come as I keep on mulling over the issues that touch my sensibility. Interaction, observation and contemplation help me to go to the depth of the subject matters in hand. I do not sit to write when I do not feel like writing. And when I’m short of time, I just jot down my first impressions and revisit them later.